This study examines the paradox reflected in the fact that despite Black immigrants’ high levels of schooling, their children have exceptionally high poverty rates. It uses the occupational dynamics of Black immigrants as a point of entry for investigating the paradox. As shown in previous studies, highly-educated Africans and other Black immigrants are more likely to work in low status jobs than other highly-skilled immigrants. In general, the analysis focuses on four specific goals. First, it examines the broad relationship between education-occupation mismatches among parents and child poverty. Second it examines whether or not this relationship mediates the poverty disadvantage of Black immigrants’ children. Third, it investigates the extent to which racial and ethnic differences moderate this relationship among immigrants. Finally, it explores the extent to which structural mechanisms associated with the limited transferability of foreign schooling explain the influence of parental mismatches on the adverse poverty outcomes in Black immigrant families. Kevin J.A. 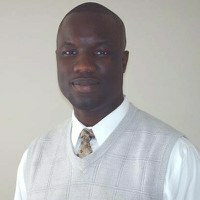 Thomas is an Assistant Professor of Sociology, Demography, and African Studies at the Pennsylvania State University, and a Research Associate at Penn State’s Population Research Institute (PRI). He completed his Ph.D. and Masters degrees in Demography at the University of Pennsylvania. Before then, he earned a Masters in Development Administration from Western Michigan University, and a B.A. (with Honors) from Fourah Bay College, University of Sierra Leone. After completing his PhD, Dr Thomas worked as a David Bell fellow at the Harvard Center for Population and Development Studies, and later as a Research Fellow at the Harvard Initiative for Global Health. Thomas also worked with the Migration Policy Research Program of the International Organization for Migration (IOM) to produce the World Migration report in 2003 and has served as a consultant for several organizations including the Migration Policy Institute (MPI) in Washington, DC. His current research interests include migration and immigration processes, especially among African-origin populations, race and ethnic inequality, children and families, and international development. This event is co-sponsored with the Consortium on Race, Gender, and Ethnicity.